The stations have shifted the way thousands of people in the Seattle-area commute. Sound Transit says 1.5 million people used light rail in February 2017, a nearly 75 percent jump from February 2016. 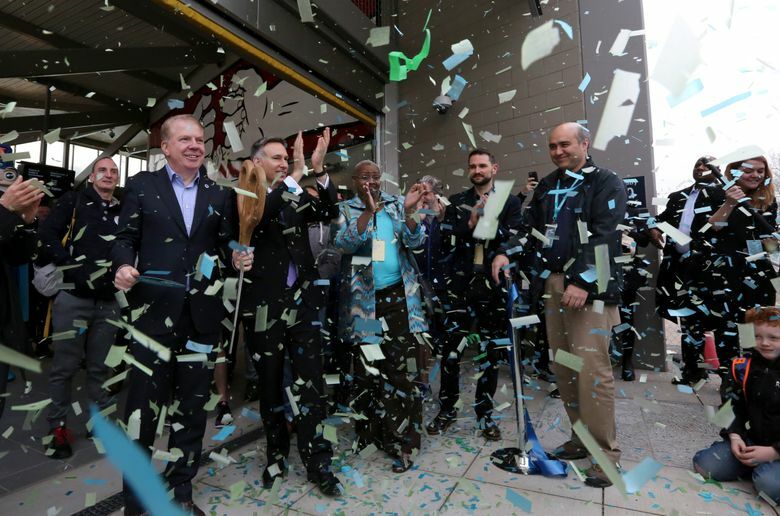 As far as celebrations go, Sound Transit’s big party roughly a year ago to mark the University of Washington and Capitol Hill stations’ openings was just the beginning. Now, the transportation agency is applauding its spike in ridership due to the stations’ service. In the year before their opening, about 39,000 people each weekday on average used light rail. Now, about 65,000 people do. “In February alone, 1.5 million people rode light rail — a 78 percent increase for the month compared to February last year,” the agency said in a news release. During the last three months of 2016, the UW and Capitol Hill stations accounted for roughly one-fourth of that daily average total. Sunday marks one year since the stations opened, shifting the way thousands of people go about their commutes. The $1.8 billion tunnel from Westlake to Capitol Hill and the UW stretches three miles. The Capitol Hill Station on Broadway is about a block from Seattle Central College, while the UW station has changed access to the university, its medical center and Seattle Children’s hospital. Public officials and fans marked the stations’ debut last year with souvenirs, entertainment and rides, a March 19 shindig that cost hundreds of thousands of dollars. The Angle Lake Station, which opened in SeaTac last fall, was the last big light-rail opening for five years. North of the university, the Northgate, Roosevelt and U District stations are scheduled to open in 2021. So by 2022, Sound Transit estimates that an average of 129,100 people will use light rail each weekday — nearly doubling the current daily average.